New York City newspaper, but one of the biggest changes in the Ultimate comics is that Peter isn't a photographer when he first starts. Being a tech-savvy teenager, our hero is one of the Daily Bugle's top web-designers. It's a bit unrealistic in the modern times for a teenager to walk into one of NYC's top publishers and be hired as a freelance photographer with little to no experience. At least with this run of comics, Parker already has a unique tool set that could offer the struggling newspaper a revamped website. Another major change comes in the form of J. Jonah Jameson, who's no longer a bumbling buffoon. He's a battle-tested newspaper editor that's well aware of how to handle his staff, from web-designers like Peter Parker to veteran reporters such as Ben Urich. 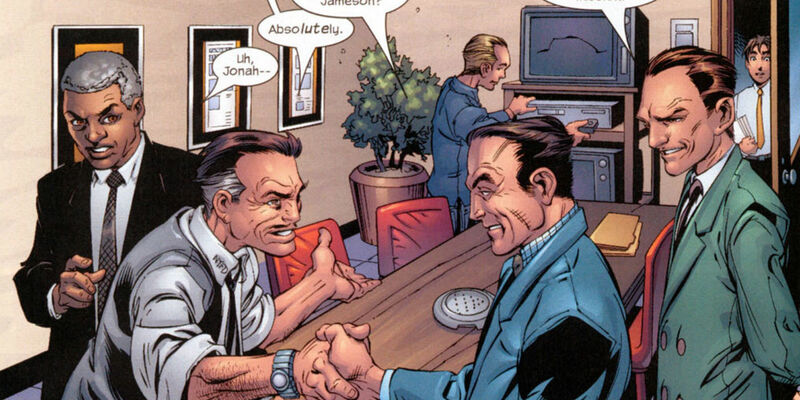 Additionally, it's refreshing to see Jameson show some sympathy to young Peter every now and then. Jameson understands the hardships that Parker goes through, and isn't so much a diabolical tyrant, but a hard-nosed editor. It's more plausible, and it gives us a better representation of a more realistic newspaper in Marvel Comics.